Business car and van drivers racked up a £15.3m bill in fines and penalties in 2018; up 15.6% compared with the previous year, according to latest analysis by Lex Autolease. The data from more than 377,000 company cars and vans shows that the proportion of fleet drivers incurring fines and penalties for minor offences increased from 43.4% to 53.3%, making up more than half of drivers. The research also found that the percentage of drivers caught by bus lane cameras rose from 7% to 9.5%. 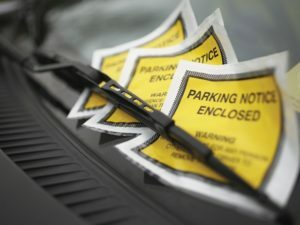 The percentage of drivers committing parking offences also rose, with private car parks accounting for more than three quarters (77.4% or £1.73m) of the value of all parking fines, which came to a total of £5.93m. In response, Lex Autolease is encouraging fleets to invest in driver education to help minimise risk of avoidable offences. Operations director Guy Mason said: “It’s clear from our analysis that ‘minor’ offences, such as the mistakes made by drivers when parking, can cost businesses heavily. “The increase in motoring fines over the past 12 months could be down to a range of different factors, including increased regulation on the roads, changing driver behaviour and the more rigorous enforcement of penalties by local government. With this in mind, we’re encouraging customers to take proactive steps where they can to help bring down the bill, such as investing in driver education and training to help minimise avoidable costs like parking fines and bus lane infringements.